Make a treasured lamp shine with a quick coat of spray paint. Wipe down lamp to remove dust and particles on the surface. Mask of base of lamp with masking tape and newspaper. 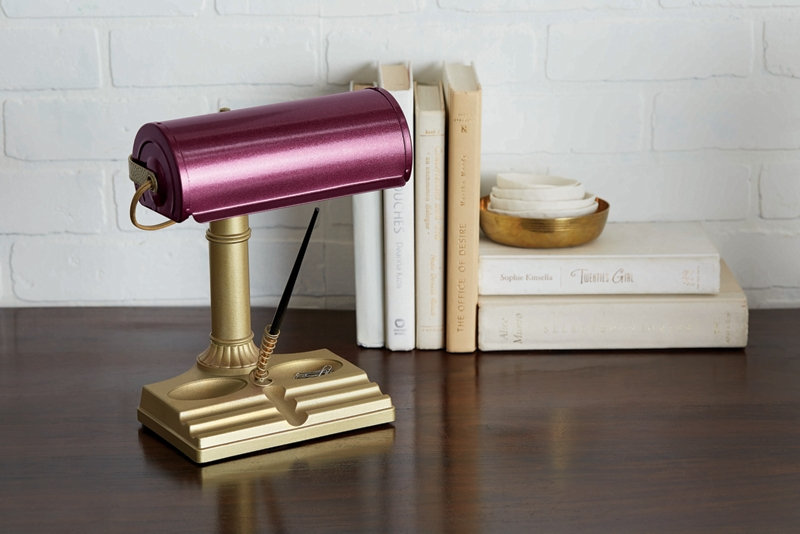 Apply even coats of Shimmer Metallic Black Cherry Shimmer to lamp shade in a side-to-side motion. Recoat until shade is completely covered. Remove tape and newspaper, and mask off shade. Apply even coast of Shimmer Metallic Shimmer Gold to base of lamp in a side-to-side motion. Recoat until base is completely covered.